Move-in Ready! 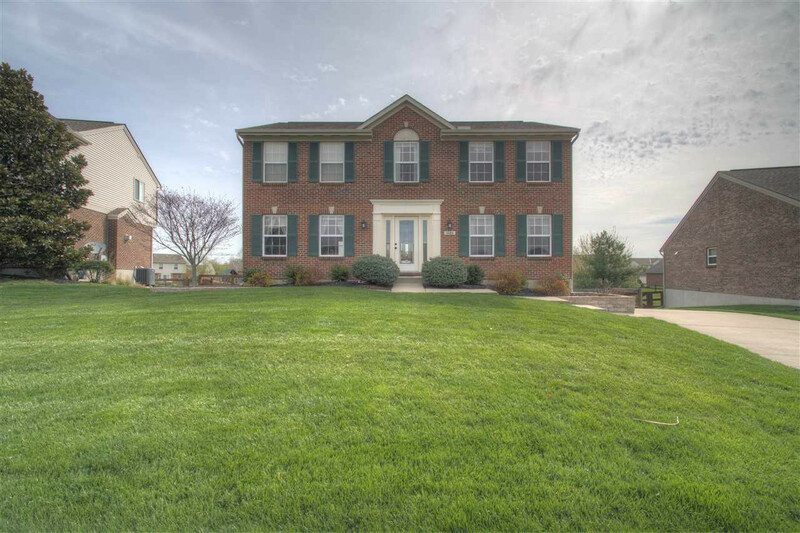 4 bedroom, 2.5 bath, quality built Arlinghaus home featuring brick wrap, new front door, newer HVAC, deck overlooking large, fenced, level yard w/shed/playset. Oversized rear entry garage w/tons of parking, basketball. Maple kitchen w/cinnamon finish and breakfast bay. Formal dining room. Living room w/gas fireplace & new carpet. Generous bedroom sizes. Cathedral master w/adjoining bath & walk-in closet. 1st floor laundry. Easy to finish LL w/bath rough-in. Community pool. Great location close to schools, shopping, expressway & more. Home warranty included. Verify schools.